Through the Erasmus+ programme, innovation, greater access to the European market, technological developments and increased research opportunities are created, says Kristina Cassar Dowling. The European Community Action Scheme for the Mobility of University Students, known as Erasmus, was originally established in 1987 as a student exchange programme. It was relaunched in 2014 to also offer opportunities for teachers, trainees and volunteers of all ages. 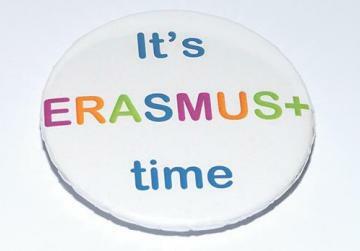 The Erasmus+ Programme has since its creation aided in the development of students pursuing tertiary education. The role that the Erasmus concept plays is vital to the social, cultural and educational growth of local and international students. Student and staff mobility opportunities are available to eligible applicants to explore university life in a different European country to the one they call their home. Additionally, grants and increased learning opportunities are presented to Erasmus+ participants. For the period 2014-2020, the EU Programme will continue to target the fields of education, training, youth and sports – all elements in our society that increase job opportunities and innovation within communities. Registered University of Malta students enrolled in undergraduate, postgraduate and doctorate degrees are all eligible to apply and potentially enrol in an Erasmus+ mobility within partner universities in countries such as the Netherlands, the United Kingdom, the Czech Republic, Luxembourg, Italy, Spain and others. This overseas study period ranges from three to 12 months and is all calculated as part of the European Credit Transfer and Accumulation System (ECTS) needed to reach the final degree, locally issued by the UoM. A ranking system helps in choosing eligible students – a method that pushes students to work harder in achieving their goals. The entire process, work ethic and end result have been tailored to provide a well-rounded experience for a larger quantity of students, now with a greater focus on people with fewer opportunities to travel and develop soft intercultural skills that may benefit their future. On March 28, the European Parliament approved the next Erasmus+ programme for 2021-2027. While proposing to triple the budget and ensuring more co-funding and cooperation with other European countries, MEPs also called for the introduction of centres of vocational excellence, international centres providing quality vocational training so that people can develop useful skills in key sectors. MEPs also called for more opportunities for disadvantaged people, and hence proposed special support in the forms of language training, administrative support or e-learning opportunities. This vote followed an agreement, on March 13, to support continued funding to all current Erasmus+ learning mobility activities, should the UK exit the EU without a deal. With every development of the Erasmus+ programme, various positive effects are created, including innovation, greater access to the European market, technological developments and increased research opportunities. There’s a wealth of information local students are yet to discover beyond our shores, and the only way to access this is to dive deep into travel, cultural exchanges and the forming of international communities. The period 2021 to 2027 will see more people scratch the surface of learning exchanges in Europe, unveiling new passions and opportunities for our peoples’ future. It is hoped that with all the programme’s ideologies set in place, the economic, social and cultural barriers that might separate us from our neighbouring countries within the European Union would be lifted, thus allowing for a greater sense of unity in our communities. The familiarity achieved during exchanges is thought to lessen the peculiarities that may divide us. With the new goals set, MEPs suggested that both the European Commission and national Erasmus outlets across the EU, are required to develop a framework that is firm on national inclusion strategies. This is translated into financial support, adjusted monthly grants and revised studies for cost of living expectations in respective countries involved in the programme. Currently grants range from €670 to €770 per month calculated on a pro-rata basis. There are three groups that determine each student’s allowance based on the monthly financial strains set by each country. Grants, together with language training, administrative support and e-learning possibilities are set to improve with the next generation of Erasmus beneficiaries. University undergraduates, postgraduates and doctorate students as well as university faculty members are thus eligible for the Erasmus+ programme, but with the new actions encouraged by the MEPs, pre-school and early education staff will also be able to apply for such nourishing programmes. The programme also offers youth exchanges, during which groups of young people from different countries have the opportunity to meet, live together and work on shared projects for short periods. These experiences involve activities such as workshops, exercises, debates, role-plays, and outdoor activities. This learning experience is recognised through a Youthpass, which is the recognition tool for non-formal and informal learning in youth projects. The role that the Erasmus+ concept plays is vital to the social, cultural and educational growth of local and international students. Moreover, Erasmus+ supports traineeships – like work placements and internships – abroad for students enrolled in higher education institutions. These opportunities, which are also open to recent graduates, can last from a minimum of two months to a maximum of 12 months. Young athletes, sports coaches and those involved in the competitive sport sectors will also be experiencing new horizons with the improved Erasmus strategy set to begin in 2021. Here, new borders may be crossed and bigger budgets will be set aside to ensure all vocational education exchanges are experienced to their maximum potential. To date, more than nine million people have participated in the Erasmus+ programme – nearly 800,000 benefited from the programme in 2017 alone. Currently covering 33 countries (all 28 EU countries as well as Turkey, North Macedonia, Norway, Iceland and Liechtenstein), the programme is also open to partner countries across the world. Moreover, surveys conducted with participants since 2014 clearly show how positively the students regard their Erasmus+ experience, with 96 per cent saying they are satisfied with having taken part in the programme. Locally, the Erasmus+ programme is administered by the International Office at the University of Malta, according to the Erasmus (Extended) University Charter (EUC), which provides the general framework for the European Cooperation activities a higher education institution may carry out within the Erasmus programme. Support is also given by the Erasmus Student Network (ESN), an international exchange student organisation that works hard to achieve full European exposure to a great number of students. A study carried out by ESN in 2016 showed that the average age of local students who participate in the Erasmus experience is roughly 23 years of age. With 67 per cent of successful applications, women dominate the statistics at 67 per cent. Disciplines such as economics and business, at 25 per cent, and humanities, at 23 per cent, are the most explored subject areas for Erasums+ programmes. The European Parliament places the EU’s youth among its top priorities and, through the Erasmus+ programme, offers them a better future. In fact, statistics show that one in three Erasmus+ trainees are offered a position by the company they trained with. In addition, the unemployment rate of young people who had previously studied or trained abroad is 23 per cent lower than that of their non-mobile peers five years after graduation. The future needs synergies such as the Erasmus programme in order to draw intercultural familiarity closer to our common practice, with language, heritage, culture and other factors that shape a community, at its core. Young people who study or train abroad not only gain knowledge in specific disciplines, but also strengthen key transversal skills which are highly valued by employers. An Erasmus Impact Study shows that graduates with international experience fare much better on the job market. They are half as likely to experience long-term unemployment compared with those who have not studied or trained abroad and, five years after graduation, their unemployment rate is 23 per cent lower. The study, compiled by independent experts, is the largest of its kind and received feedback from nearly 80,000 respondents including students and businesses. 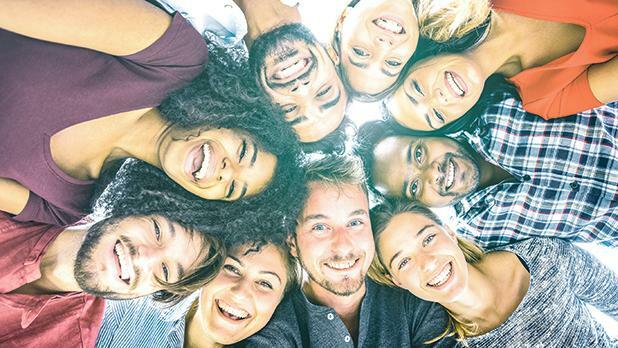 The study also shows that 92 per cent of employers are looking for personality traits boosted by the Erasmus+ programme such as tolerance, confidence, problem-solving skills, curiosity, knowing one's strengths and weaknesses, and decisiveness when making a recruitment decision. Tests before and after exchange periods abroad reveal that Erasmus students show higher values for these personality traits, even before their exchange starts; by the time they come back, the difference in these values increases by 42% on average, compared with other students. Why did you choose to do Erasmus+ not once but twice? Truth be told, I was rather curious about what the Erasmus+ youth exchange programme had to offer, and so, I did not need much convincing to apply for a two-week exchange programme in Romania through the voluntary organisation TDM 2000 Malta. To date, it will remain one of my fondest memories because of the incredible learning experience and friendships made. Upon my return to Malta, I knew that one Erasmus+ experience was not enough – in fact, around a month later, I was on a plane to Bari in Italy for yet another exchange. What were the main benefits and achievements thanks to it? It is rather difficult for me to summarise all the benefits gained through such experiences since there are so many. However, if I were to pinpoint the main achievements, they would be learning how to organise interactive workshops and how to give impromptu presentations, explaining the beauty of the Maltese culture, and best of all, immersing myself in different cultures.